There was a strong surge in the number of Cyprus property sales during May, with the number of contracts deposited at Land Registries across the island up 59 per cent compared to May 2016. THE DEPARTMENT of Land and Surveys reported a 59 percent increase in in the number of property sales contracts deposited at Land Registry offices during May compared with May 2016, according to official figures from the Department of Lands and Surveys. During May a total of 756 contracts for the sale of residential and commercial properties and land (building plots and fields) were deposited at Land Registry offices across Cyprus, compared with the 474 deposited in May 2016. Some of this rise may be accounted for by a rush to buy before VAT is imposed on commercial sales of land. We are also aware that an unknown number of these property sales contracts relate to ‘non-sale’ agreements such as loan restructurings, recoveries and debt-to-asset swaps agreed between the banks and defaulting borrowers. Sales rose in all district compared with May. In percentage terms Limassol led the way with sales up 106%, followed by Famagusta, where sales rose by 58%. 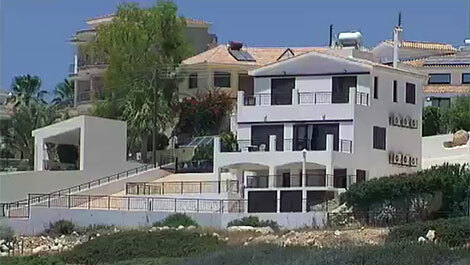 Meanwhile, sales in Paphos, Nicosia and Larnaca rose by 53%, 44% and 16% respectively. During the first five months of 2016, property sales rose 17% compared with the same period in 2016. You mean increasing the NPL in the future? There is no evidence to show the developers are paying off the bank loans, more like spending the money as it comes in. We have increased tourism, but I see there was a three hour strike at one hotel because the workers haven’t been paid for months. Good to know it’s helping to decrease the NPLs.